Some VERY pretty homes here. A picnic with a lake view, what could be better? Look closely to see a turtle, lower right hand side! Pretty walking path with a mountain view! Just look at all that pretty grass! No sand here! A beautiful place for a walk. We see a lot of dog walkers here in the evening! Lining the path are little doggie boxes where you can get brown bags to pick up after Fifi or Brutus. Very thoughtfully designed park! 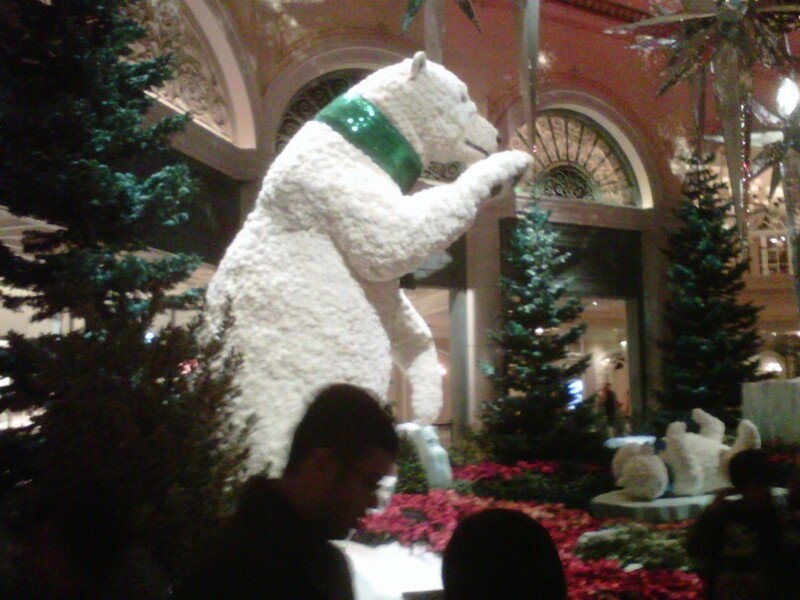 I overheard someone say they don't like it here in Las Vegas. Not only is it HOT (only in the summer)... BUT, it looks like the MOON here! All rocks and sand. Even though this is the Mojave desert, I can assure you, there IS a lake here, in a part of town known as "The Lakes"... it is called Lake Sahara! 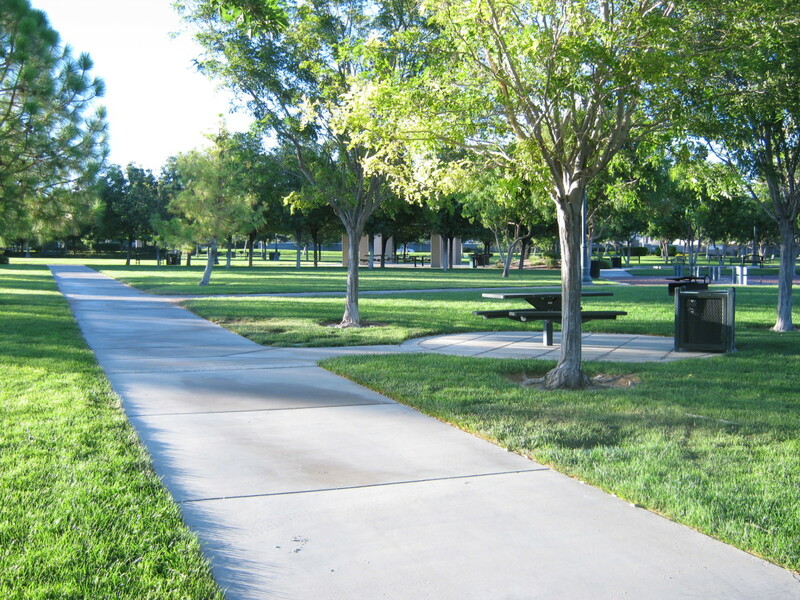 And, there are several nice parks where you can find lots of green grass, shade trees, play areas, and nice walking paths. 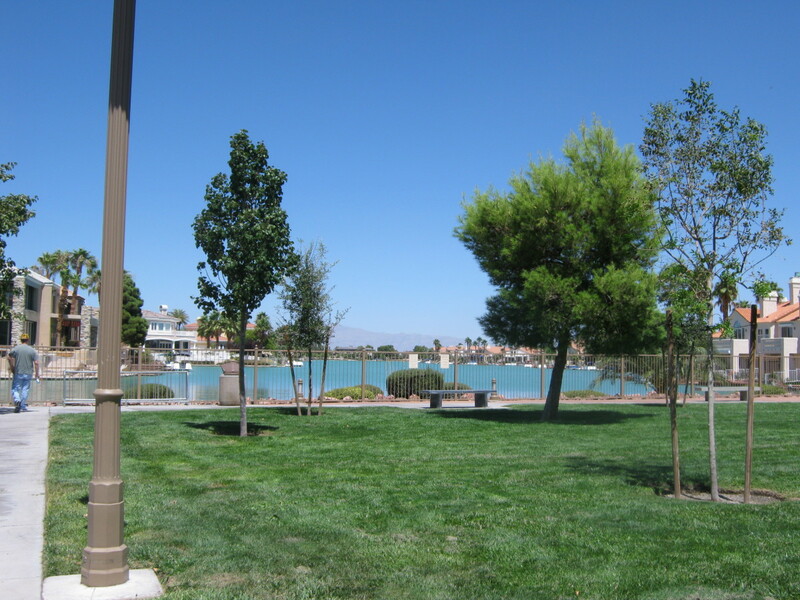 Within just 20 minutes or so of "the strip" you can find pretty lake Sahara, and even have a picnic there! There are shops nearby where you can get a pizza and sit by the lake and enjoy your lunch and watch for ducks and turtles. 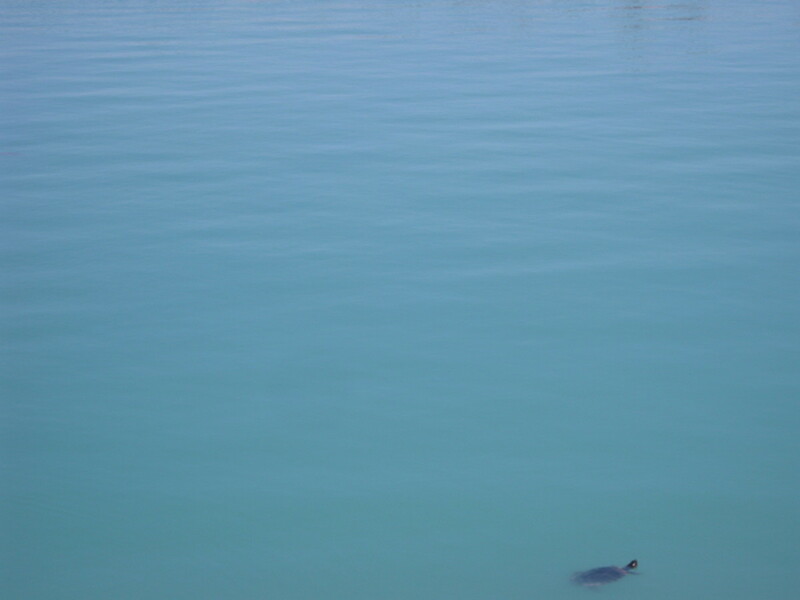 Yes, if you watch for a few minutes, you probably WILL see turtles popping their heads up out of the water like we did! 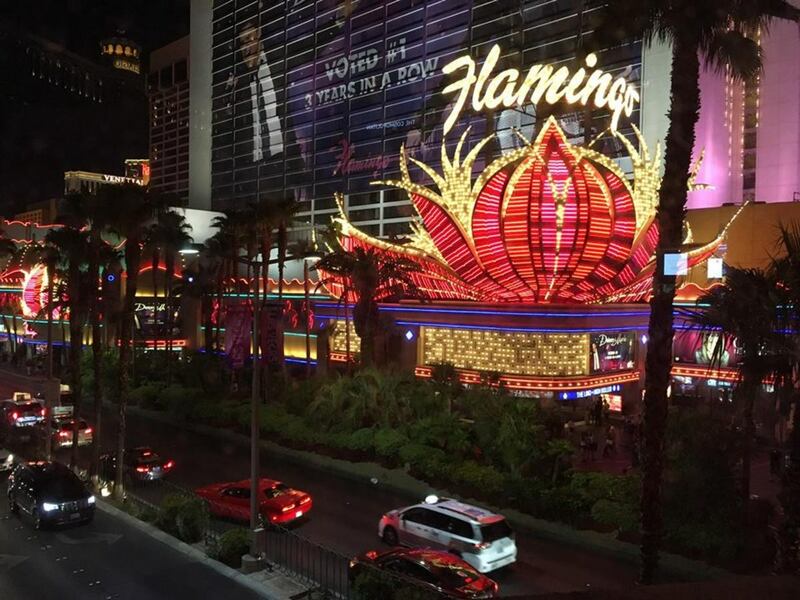 Simply take Sahara avenue (it intersects with the strip,also known as Las Vegas Boulevard) drive about 10 miles or so towards the mountains, and when you see "Lake Sahara Avenue" (near a large Citibank building) turn left and go about 1/2 mile. You'll be surprised to see a beautiful lake there, and some quaint shops as well. If you make a left turn where the lake is (right turn if you are coming out of the parking area for the shops), and go about a mile around that side of the lake, you will see another place to park and picnic tables - this is where you are most likely to see the turtles! There are beautiful, grand homes lining the lakefront. You won't be able to swim here, but it is nice to just enjoy the beautiful water, have a picnic and turtle watch. It's peaceful and serene, a pleasant break from all the hustle and bustle of downtown. 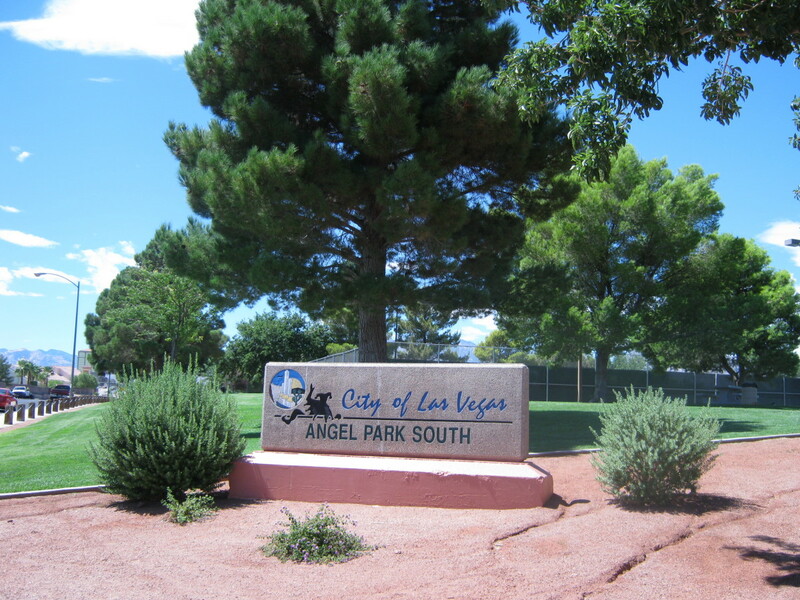 If you go back out to Sahara avenue, make a right turn (going back towards downtown) then turn left on Durango, keep going about 2 miles, and on the left hand side right before you get to the interstate, check out "Angel Park South". 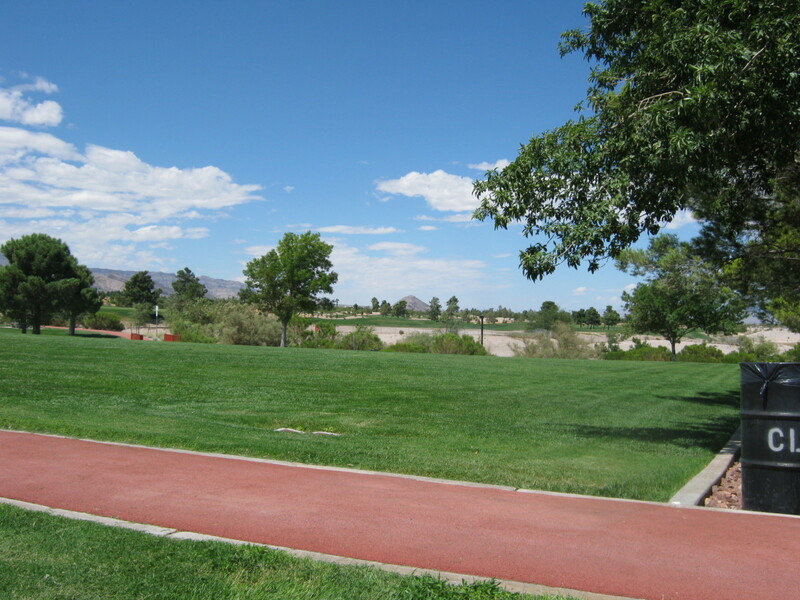 There is a wonderful walking path there, green grass, and an exercise course to work out. In the evening, the park will be filled with jack rabbits! There are even tennis courts if you happen to have a racquet with you. This is a great place to walk and get some exercise, with a beautiful mountain view in the background. 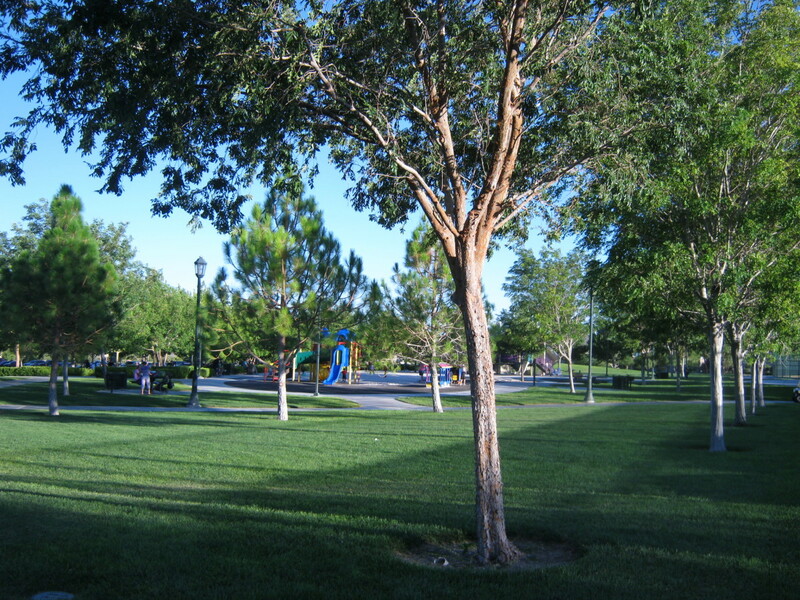 In a town just north of there, called "Summerlin" you will find "The Gardens Park". This is a large 18 acre park with lots of greenery... shade trees, a play area, picnic areas, bocce ball court, horseshoe pits, and a shuffleboard court. And on the other side of the park, you will find a place to play roller hockey, a sandy area to play volleyball, basketball courts and tennis courts! Who would even think you'd find a place like this in the desert? But it is there to enjoy! 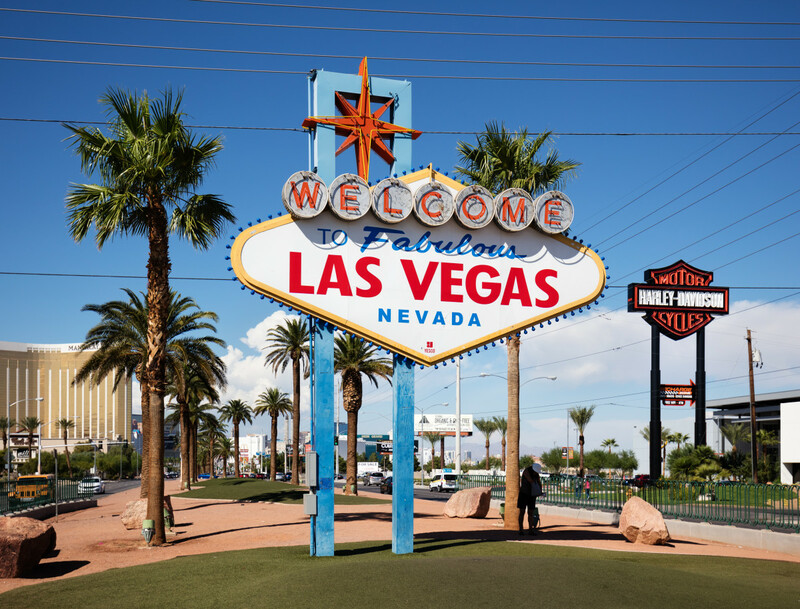 To get there, you CAN still take Sahara Avenue, but go about 12 miles or so towards the mountains from the strip, (about 2 miles if you are coming from the lake), when you come to Town Centre road, take a left, and the park will be about 3 miles down that road, on the left. 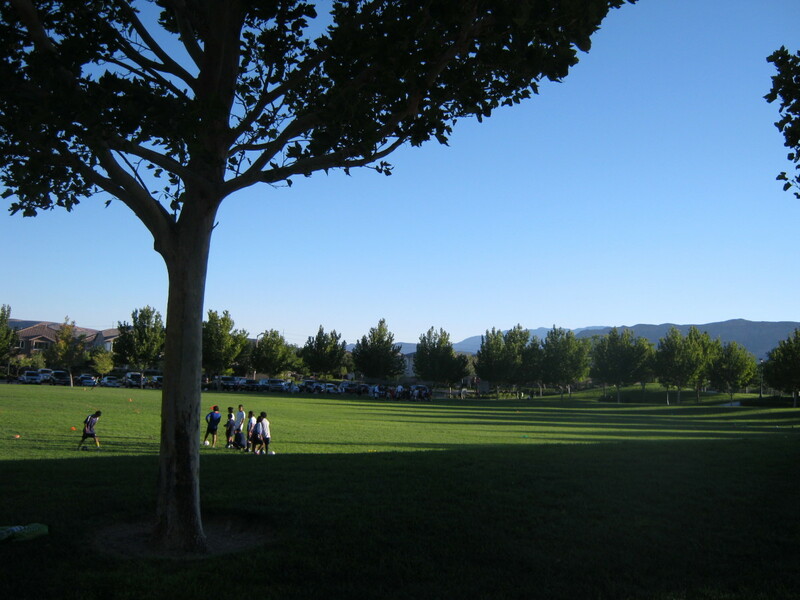 We were amazed the first time we found these parks, who would expect such beautiful GREEN grass and all these nice shade trees in the middle of a desert? The grass is kept very nicely watered and manicured. Tuesday nights if you're able to visit The Garden's park, you'll find a "Farmer's Market" there as well. Most of the parks here are used quite a bit by dog walkers... what a wonderful place to let Fifi or Brutus go for a walk... beautiful green grass, and lots of OTHER dogs to check out! And one really NICE touch is the "doggie boxes" you will find lining the path. The parks here were very well thought out and have nice touches like this to keep them beautiful for all to enjoy. 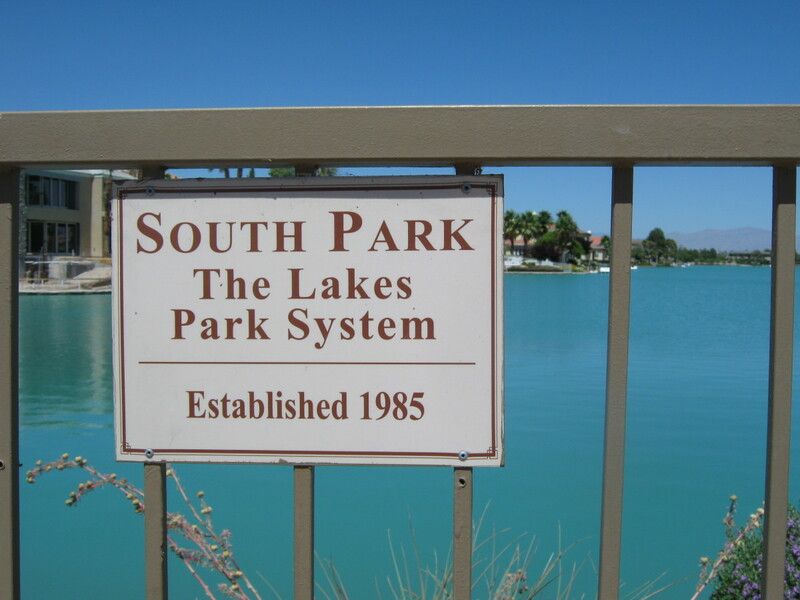 Now there are other parks here, and other lakes as well, but they are mostly located East and South of the strip. 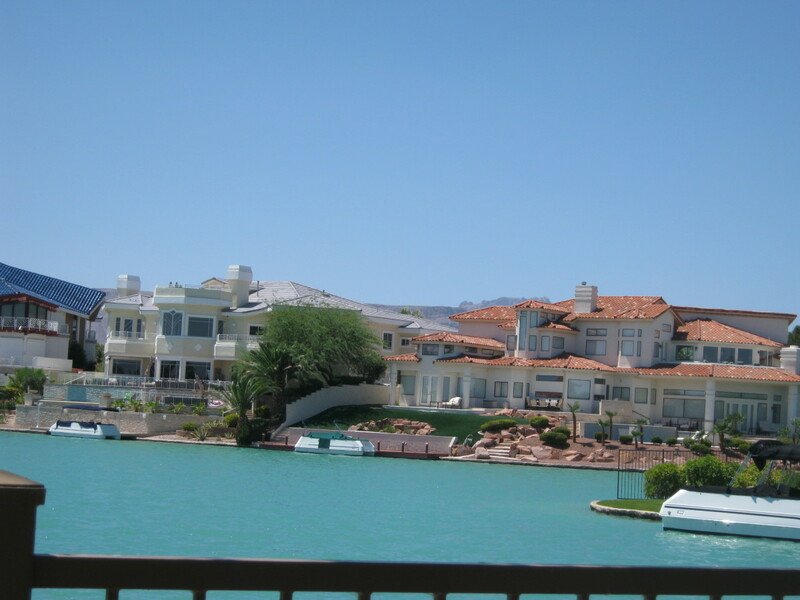 You can find Lake Las Vegas by heading East on 215, taking it until the freeway ends, then continuing on Lake Mead Blvd, you'll see it there on the left. Another beautiful lake is Lake Mead... but I tried to concentrate on a lesser known lake, just minutes from the strip. Just as pretty, but not as well known. 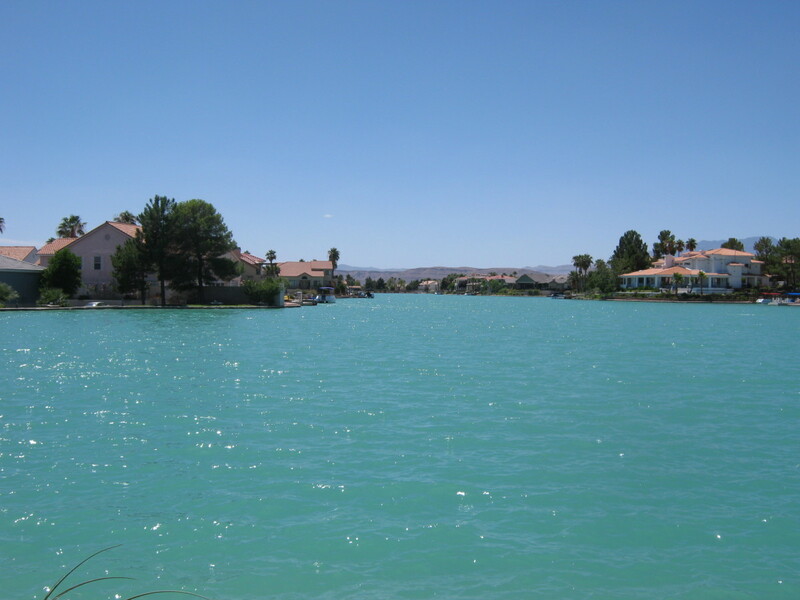 So, next time you are in Las Vegas, take a break from all the commotion of the strip, relax, and enjoy our beautiful lakes and parks here! You'll be glad you did! Thanks, lyricwriter! Glad you enjoyed the hub, thank you for your nice comment! Looks like a beautiful place. 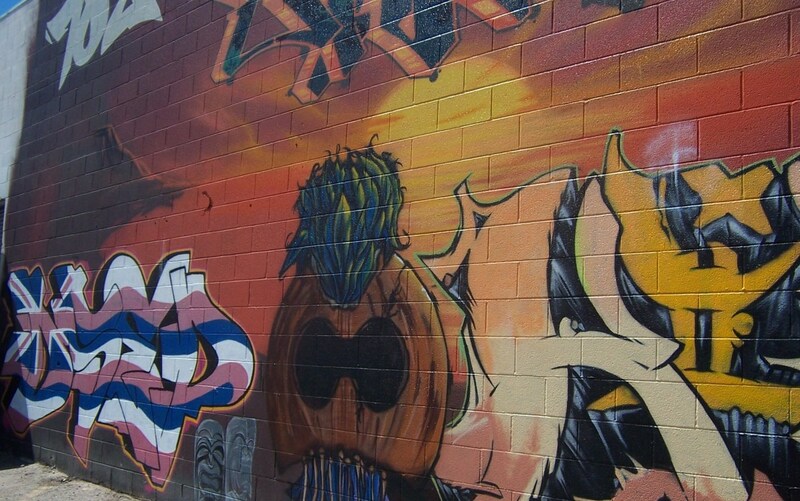 I always wanted to go there and I can't believe I didn't when I lived in Arizona. I missed my chance. Now I am back east. Well written Kathy. Glad to be a follower of your work. The lake is off of West Sahara, if you remember a huge Citibank building, it is right down that road (called Lake Sahara Drive I think?) I haven't seen too many bugs, which has been NICE and the ones we do get our CATS are supposed to get, but they don't! ha!! We SAW bats the other night when we were out walking! I told my husband LOOK at all those birds... ummm, honey? Those are BATS! YIKES!! I don't really like bats, but he said they eat the bugs, so they might be ok.
Do bats REALLY get caught in your hair and try to make a nest? Or is that an "old wives tale?" Thanks for your thoughtful comments!! Those lakes, btw, totally changed the climate in the valley. The first (small) one had just been built the last time I lived there. Before that, locals would brag that you never had to clean bugs off your windshield because there were none. No flies, no mosquitoes either, only the thousands of bats that would swarm out of the trees in people's yards around sundown. Miss you too, Cathy!! I'm so glad you stopped by! :) I miss all the GIGGLES!!!! Who knew that you could have a vast green area and water-SO beautiful. Glad to see your checking out your new surroundings. Making it your HOME! We miss you in Wisconsin! Thanks, Joanwz! When we took the lake pictures, it was so bright and sunny the water looked more green than blue! It is so beautiful there! :) Thanks for stopping by! Wonderful pictures. THey look like post cards. Really inviting.